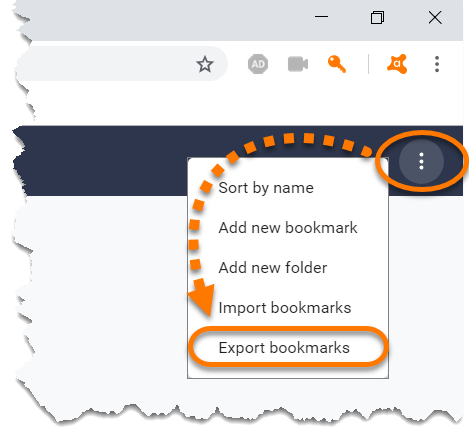 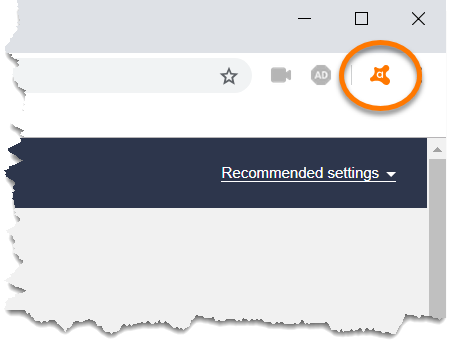 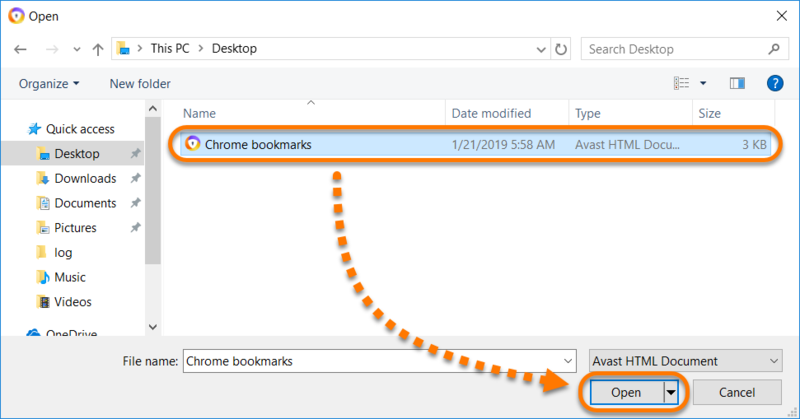 Avast Secure Browser is a web browser with built-in security and privacy features designed by Avast to keep you safe online. 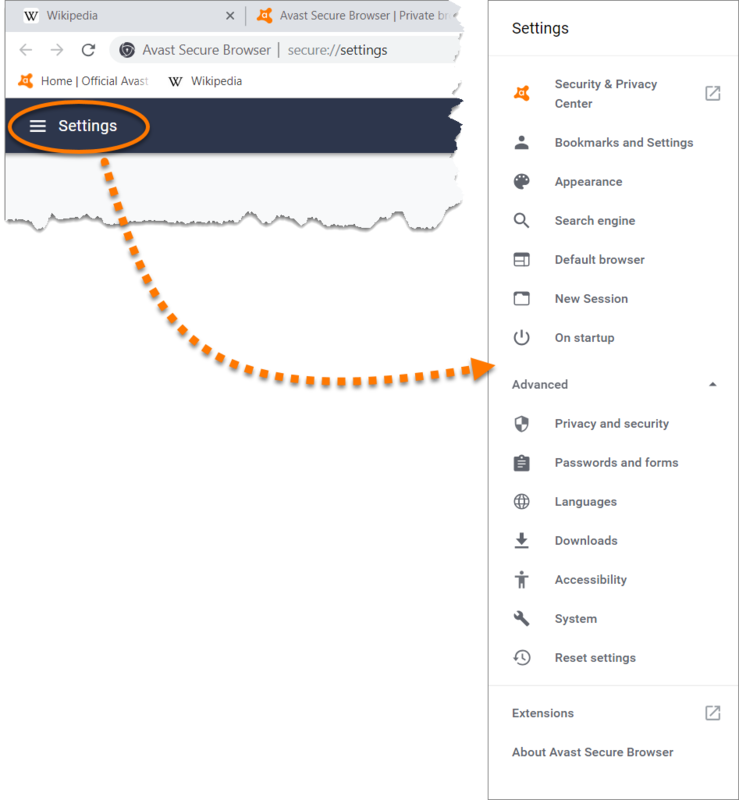 The newest version is equipped with the Security & Privacy Center, a collection of tools and features that enable you to manage your online privacy, identity, and personal data. 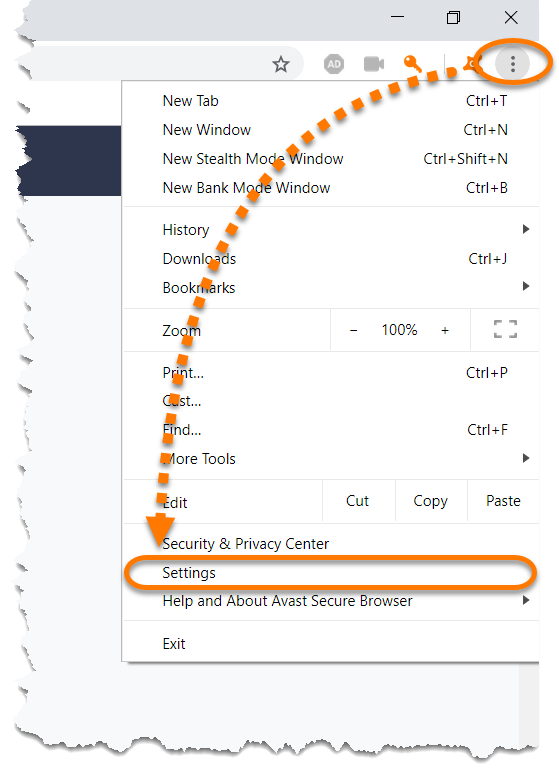 Secure Browser is offered when you install Avast Antivirus, or as a separate browser. 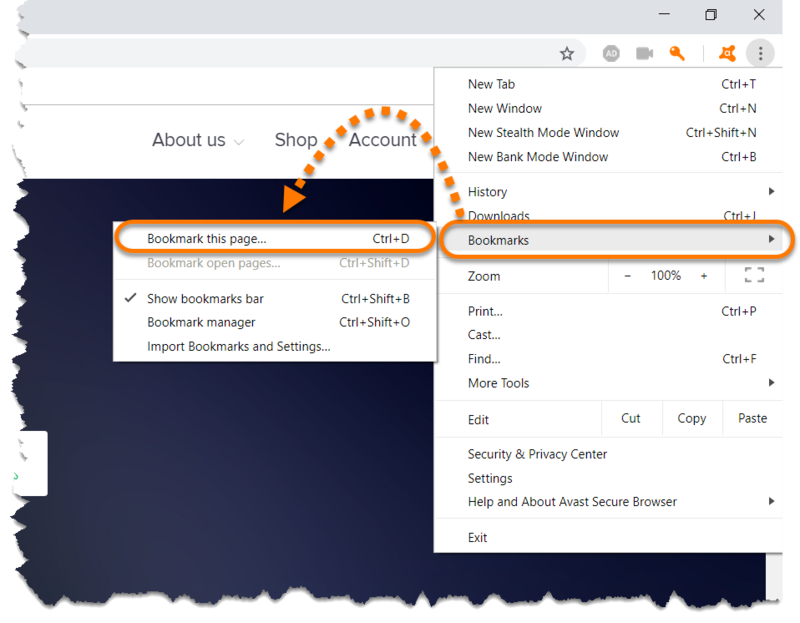 Hack Check: allows you to check if your email address against Avast's internal database of stolen email addresses for possible leaks or data breaches. 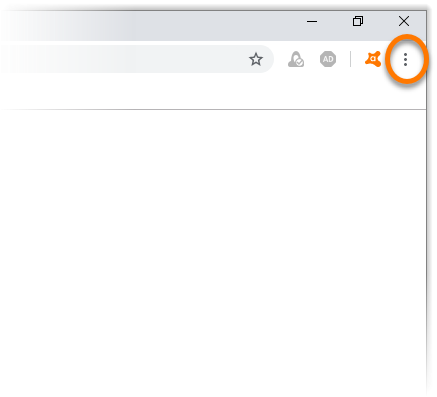 Webcam Guard: notifies you when a website you visit tries to access your webcam, asking you to Allow the website access, or Keep blocking the website. 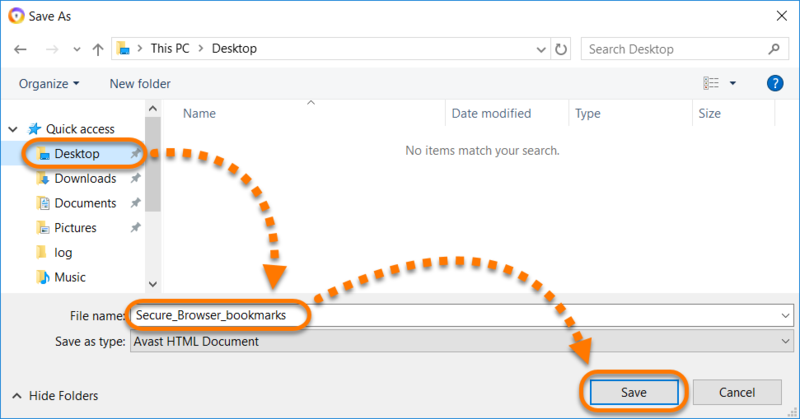 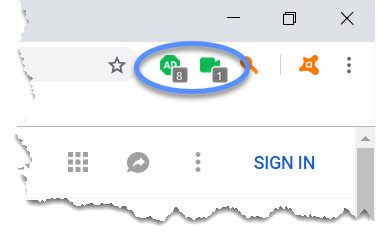 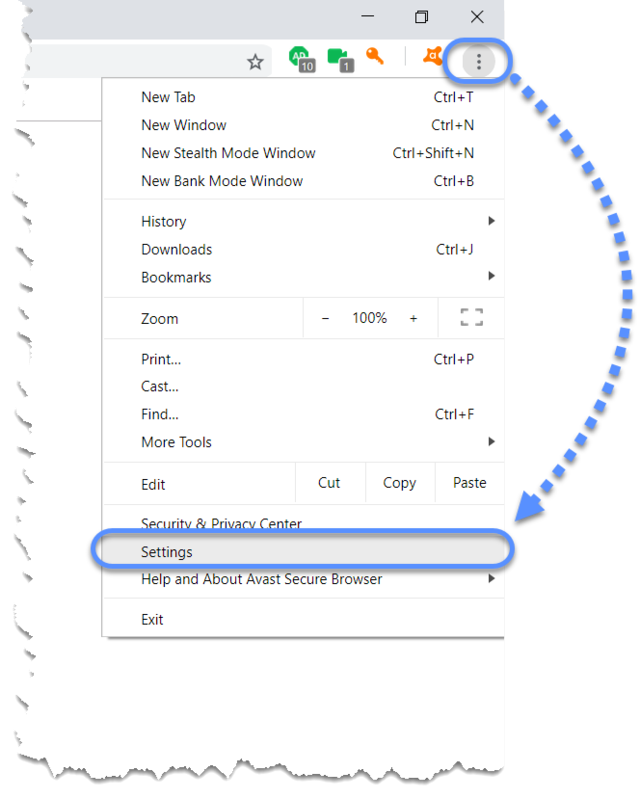 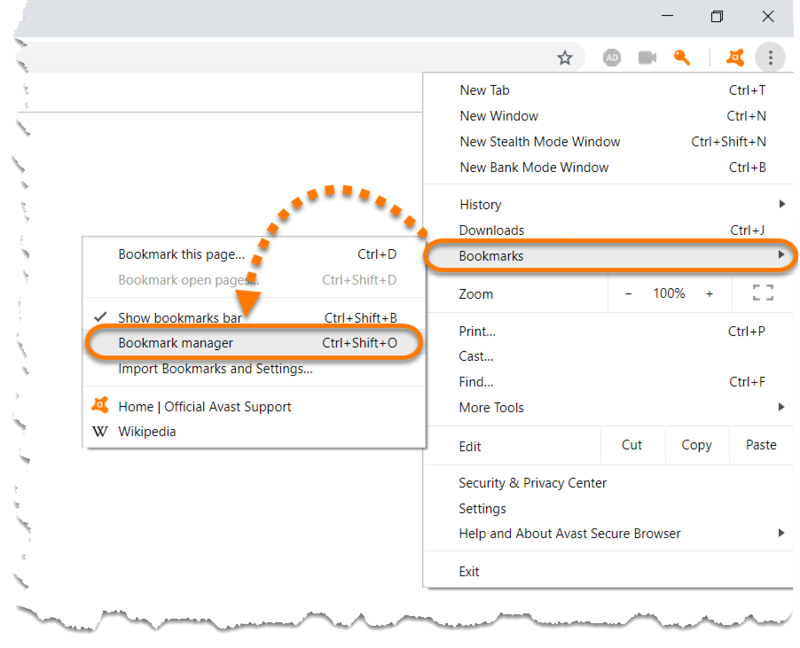 To navigate Secure Browser settings, click ☰ Settings (three lines) in the top-left corner of the Settings screen, and select your preferred section.